Age UK have offered their regular and timely alert about the cost to the country of our inadequate housing stock, but this year they have tailored their message for the age of austeria. Is it more likely to achieve the desired response from policy-makers when couched in terms of saving money to the NHS? Do we really care so little about life that merely listing the numbers of thousands who die because of the cold is no longer enough? The figures, although seemingly rather dubious, are none the less impressive: illnesses caused by cold homes cost the NHS £1.36bn. per year. The cold puts pressure on most bodily systems but stress on the heart and lungs leads to strokes, heart attacks and respiratory diseases all thriving in the cold months. There are at least 27,000 deaths that need not have happened if we had a properly insulated housing stock. This situation is not new - the English, after all, invented the draft and being cold inside your home is a particularly British habit, as those who have travelled in central or northern Europe can attest. So why is it not tackled? First, is the problem of its lack of glamour. It is so much more thrilling for a politician to be seen by a model of the next airport or the vast Severn Barrage. Surely there is also something cultural hanging over from the cold dormitories in which so many of our politicians spent their childhoods. Perhaps they still believe that it was chilblains and cold baths that made the empire great. But there are also important economic reasons. Huge infrastructure projects such as high-speed railways generate the sorts of balance-sheets where large sums can be siphoned off through various consultancy roles and offer lucrative contracts to the sorts of corporations that have the government's ear. The persistent work of improving the quality of our homes offers jobs in the local community for people who have only their vote to offer. The Green Party has been arguing for the local solution for years, proposing £2bn. to £4bn. per year investment to insulate four million homes per year at the last election. This is not glamorous and receives little media attention, short of failed attempts to rubbish the figures. The failure to invest in energy insulation is demonstrative of our failure to tackle the issue of climate change as a whole within an economy focused on profit and individualism. The deaths of old people this winter are the price we pay for having such an economic system, as is the legacy of ill health for many children who grow up in cold homes. During my visit to Berlin recently the most obvious indication that I was in former east rather than former west Berlin were the huge district heating systems linking properly insulated buildings to sources of state-generated power. It is one of the lessons of a planned rather than market system that when the state makes providing you with a warm home its business, standards of energy efficiency are likely to be much higher. 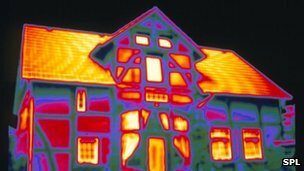 While few of us would welcome a centralised planning system, the failure to tackle effectively either cold homes or energy efficiency suggests that this is another area where the market is failing - and with lethal consequences.